For me, the series so far has been an adventure and a learning experience, thanks to abundant help from the many great scientists and smart policy makers we have in this region. 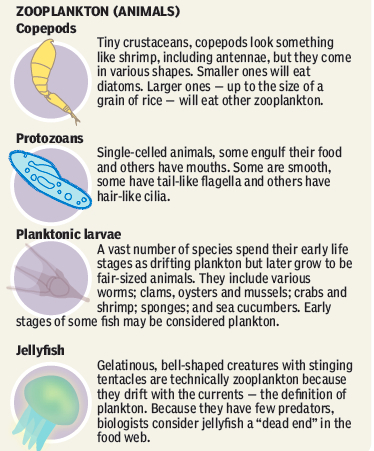 The first half of the project has focused largely on species, including humans; herring and organisms at the base of the food web; salmon and marine fish; marine mammals; and Sunday’s piece on birds (subscription). Still to come are stories about marine water quality, freshwater quality, upland habitat, water quantity and the future. Map of shellfish areas, including those closed because of biotoxins or pollution. 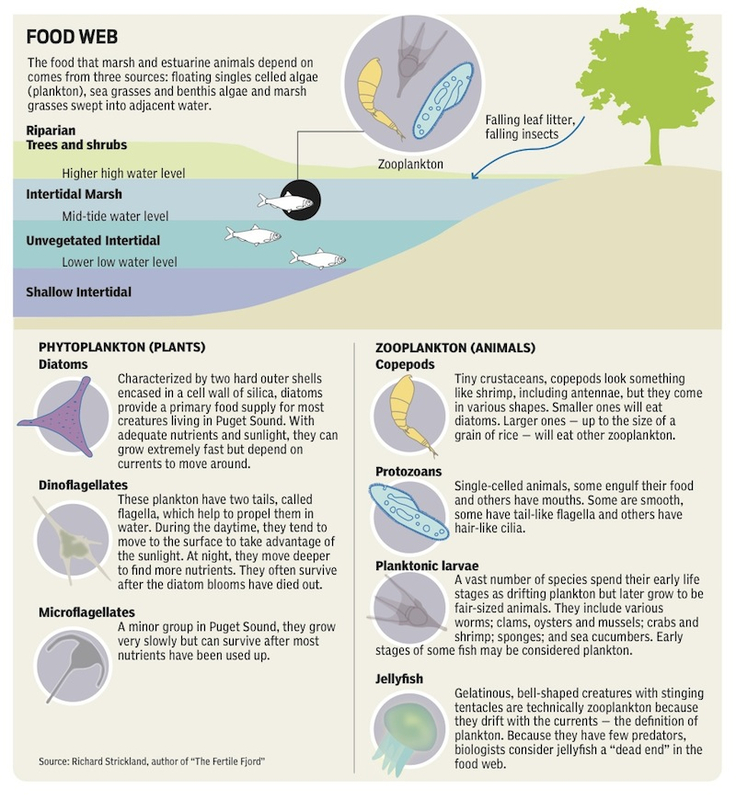 Interactive graphics on herring biomass, shoreline armoring and acreage of eelgrass along with a food web diagram. Graphics on marine mammals of Puget Sound and orca population history. Puget Sound has about 70 common species of marine birds. Many populations are in decline but some appear to be stable and a few are increasing. The winter population is about four times as large as the summer population, reaching a peak of roughly half a million birds. Because birds can fly from one place to another, their choices of location can tell us something about the health of one place compared to another in Puget Sound. If the population of a wintering bird species is in decline, you need to know something about its migration route and nesting area before you can conclude that conditions in Puget Sound are to blame. The marbled murrelet, a “threatened” species, is an odd bird, first identified by early explorers in the late 1700s but whose nesting habits weren’t discovered until 1974. Researchers are trying to learn why two similar birds — tufted puffins and rhinoceros auklets — are faring differently in Puget Sound. Steep declines are seen for tufted puffins, which may be headed for an endangered species listing, while rhinoceros auklets are on the increase. Their varying behaviors are at the center of discussion. Ecosystem indicators for birds, as chosen by the Puget Sound Partnership, are more involved than most other indicators. They focus on the densities of four bird species and also consider food supply and reproductive success. I just completed the second part of a yearlong series I’m writing about the Puget Sound ecosystem and the 21 “vital signs” indicators chosen by the Puget Sound Partnership to measure the health of the sound. 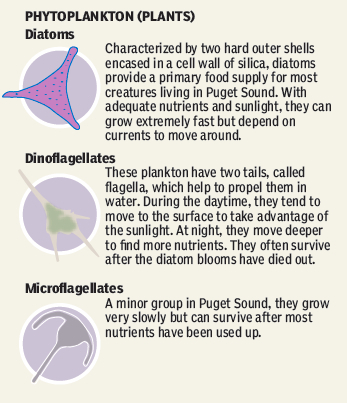 This second part, published in Sunday’s Kitsap Sun, consists of stories about the food web, including plankton and eelgrass; forage fish, including herring; and bulkheads, which are generally considered a threat to the nearshore ecosystem. I was trying to cover the lower half of the food web, to build a foundation for the other parts to come. I talked to a lot of experts on these issues and ended up writing one of the largest story packages I’ve ever written. Still, I barely touched the surface of these topics. I guess I’ll have to return later to dig a little deeper. Scientists often say, the more they know, the more they realize what little they know, or something like that. I’ve always tried to help people understand the complexities of environmental science, but there are no simple answers. That’s why the Puget Sound Partnership is an important bridge between policymakers and scientists. 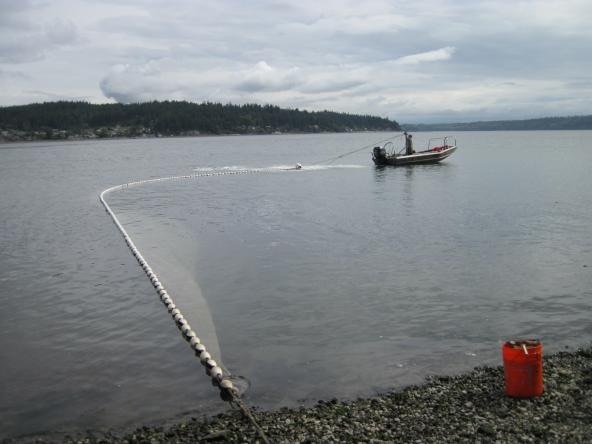 We have enough tools to know what should be done to save Puget Sound, but how do we know what projects should come before others? What can we afford to do? And how do we measure success or failure? Those are the questions challenging the partnership at the moment. I would like to thank all the researchers willing to give their time to this project as well as Kitsap Sun staffers who helped crunch the numbers and produce the graphics for the story package, as well as the editors who offered ideas along the way. 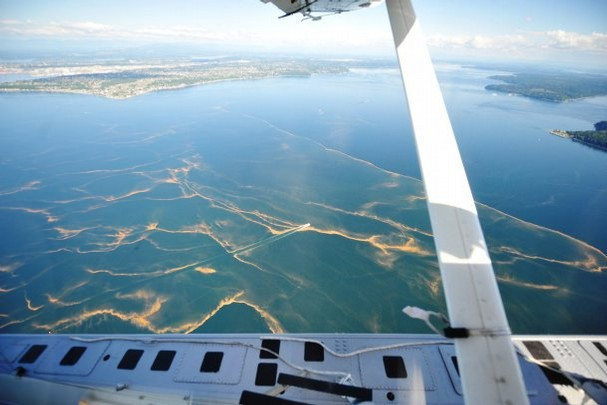 Sinclair Inlet last August was awash in colorful plankton. This photo was taken over Port Orchard, looking toward Gorst.